Our Harris tweed wool is woven specially for us in a much lighter 370 gram weight. 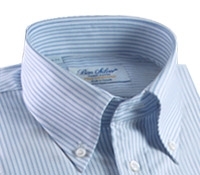 While it retains the loft and experience of the classic tweed, it is light on the body and easy to wear. 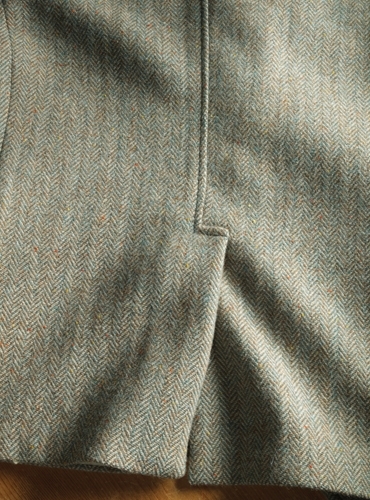 This particular jacket is woven in a mélange blend of sage and cream, with sunshine and orange Donegal specs of color. 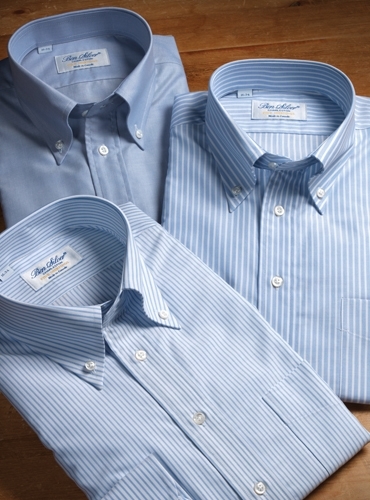 We show it with one of our Thomas Mason Gold Line oxford woven button down collar shirts, with a blue university stripe on a white ground. 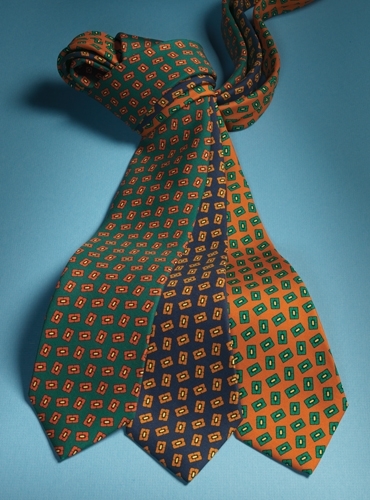 The tie is a silk printed tossed square motif on a copper ground, and in the pocket, a silk paisley printed pocket square in royal blue and fern green. 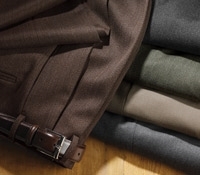 We propose olive cavalry twill trousers to complete this ensemble. The eyeglass frames, from our extensive classic eyewear collection is a rounded brow semi-square tortoise. 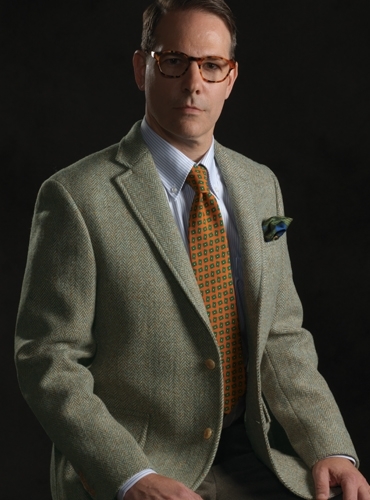 Harris Tweed sport coats define classic style. Only tweed woven in spinner’s cottages of the Isles of Harris and Lewis in the Outer Hebrides qualify for the label. Long ago it was a heavier and harsher fabric, but today it is available in a more comfortable featherweight or “Superfine” quality. Nevertheless it remains the hardy fabric it always was, and one that has retained its reputation of handsome, often subtle and muted colorations in the natural colors and tones of the rocks, stones, beaches, sea, and sky of the outer Hebrides. Each of our Harris Tweed sport coats are made in our two-button, single breasted natural shoulder model, that speaks of Authentic American Style. Each canvassed jacket has quarter inch stitching on its 3 inch notch lapels, upper welted pocket, lower patch and flap pockets, center hooked vent, lap seams, and full Bemberg lining.